Getting a visa to go to China can be a hassle. Now you can go to several of China&apos;s biggest cities and popular tourist destinations, travel around them, and leave within 72 hours without a visa. If you just want to visit a friend or see sights in one city for a couple of days, this is an ideal way to go. Beijing, Shanghai, Guangzhou, Chengdu, Chongqing, Guilin, Xi&apos;an, Kunming, Hangzhou, Xiamen, Wuhan, Tianjin, Harbin, Nanjing, Shenyang, Dalian, Qingdao, and Changsha. Also Shanghai, Jiangsu, Zhejiang, Beijing, Tianjin, and Hebei have province-wide 144-hour (6-day) visa-free transit policy! 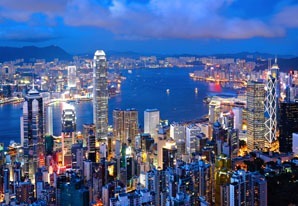 Hong Kong, Macau, and Hainan have longer visa-free access. 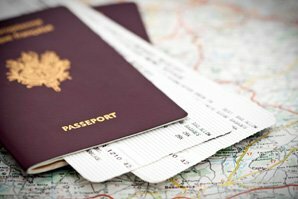 Use your visa-free time well! 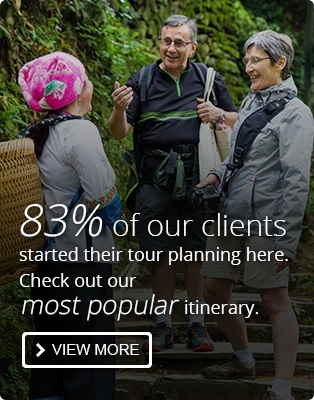 What might you be able to do in up to three days? The possibilities are endless. 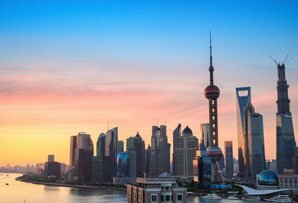 Here we first feature the top seven visa-free cities in China for business/tourism with recommendations for tourists and business people. 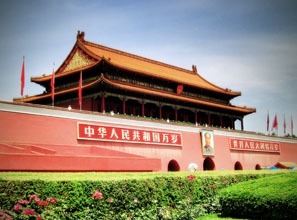 Tourism: Historic capital of recent empires and the modern capital Beijing has the best historical sights in China: the Great Wall, the Forbidden City, the Temple of Heaven, and many more. For business: Most foreign businesses are in Chaoyang District. If there, for a break, you can go to Chaoyang Park or see a show at Chaoyang Acrobats Theater. Tourism: Mainland China&apos;s financial and trade capital was once a foreign colonial enclave. You can see both modern attractions like the world&apos;s second tallest building, and charming old-Shanghai areas, like the French Concession. For business: Pudong is the central business district. While there, for a break, you can see the sights of Pudong. Tourism: Guangzhou is more of a business area than a tourist city. You might like to take an evening river cruise, or escape the city confines on White Cloud Mountain. For business: Tianhe is the central business district. Guangzhou attracts foreign merchants like a magnet to one of the world&apos;s foremost electronics (and many other products) manufacturing regions. The Guangzhou visa-free policy includes all of Guangdong Province, so, for example, you could also travel to Shenzhen or Zhuhai for beaches. However, you must exit China via Baiyun Airport, rather than the Hong Kong or Macau border. 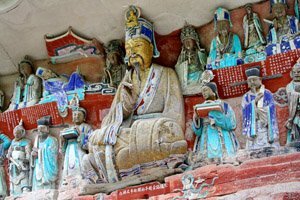 Tourism: Probably China&apos;s greatest ancient capital, Xi&apos;an served the Qin, Han, and Tang dynasties in China&apos;s golden days, from over two millennia ago. 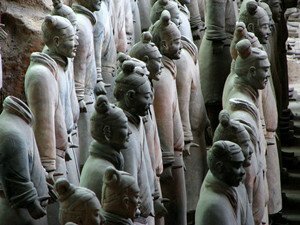 The Terracotta Army is a must-see, and the city is full of ancient architecture. See China&apos;s steepest famous mountain Hua Shan. 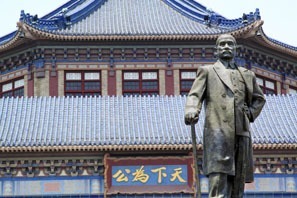 Business: The main business of Xi&apos;an is tourism, though it is a large city and provincial capital. You&apos;ll likely be going there for a tourism conference, company outing, or trade in tourist commodities. Tourism: There&apos;s so much to do in Guilin that a 6-day visa-free policy is in the pipeline! Take a day or two in resort-like Yangshuo or the Longji Rice Terraces, see (and climb) the startling hills and scenery of the city, see ancient towns, and don&apos;t forget to cruise down the idyllic Li River. 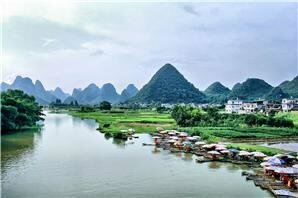 Business: The main business of Guilin is tourism! Come here for tourism conferences, company outings, and trade in tourist commodities. 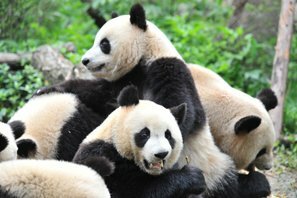 Tourism: Chengdu is the gateway to China&apos;s southwest, and tourists enjoy the pandas and the historical sites. For history buffs, there are new museums about a once forgotten and recently discovered ancient civilization at Sanxingdui. For business: Chengdu is the business capital of southwestern China. Tourism: On a visa-free stay in Chongqing, you won&apos;t be able to go on a Yangtze cruise ship outside the city limits, but you can shop and dine and see the river at Ciqikou Old Town. For business: It is a big industrial city fueled by cheap power from the Three Gorges Dam. Many foreign businessmen arrive, and many foreign engineers design and manage the factories. The central business district is Yuzhong, and the Chongqing Museum is in walking distance of our recommended hotels in Yuzhong. 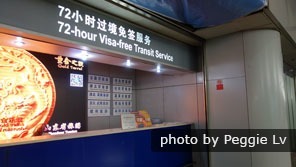 Each time a new China city becomes 72-hour visa-free we let you know. The list is ever expanding. Here are the latest cities. 1. Nationalities: The free access rules aren&apos;t for everyone. 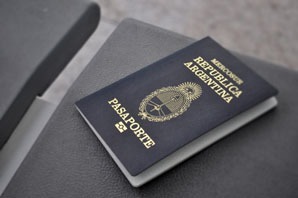 They apply specifically to passport holders of 53 countries, including our top five English-speaking-customer nations: the USA, the UK, Australia, Canada, and New Zealand. 2. 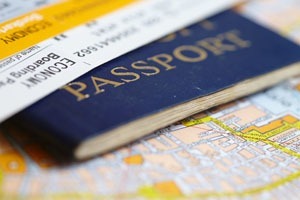 Transfer to a third country: A confirmed interline ticket and valid visa to the third country or region (Hong Kong, Macau, and Taiwan are counted as different regions) are needed for travel outside the airport. 3. Apply before arrival in China: If you wish to leave the airport for visa-free travel, you must present your transit permit request to your airline before touchdown, so that they may inform the authorities. Your transit permit will be issued at airport immigration. 4. 72 hours? You can stay for about 72 hours, but each airport has its own special regulations about how they count these hours: from airplane touchdown, or from midnight, or from when they issue the visa-free travel permit in the airport. So find out in advance about the specific airport regulations. You could contact us. 5. Intra-city travel only: You are not allowed to leave the city-governed area (prefecture). 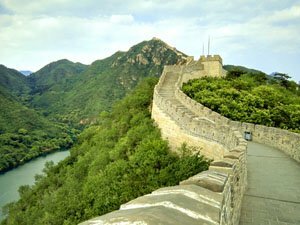 For example, you could go to the Great Wall from Beijing Capital Airport, provided it is within Beijing Municipality. For further detail see our page devoted to the 72-Hour Visa-Free Transit Policy. Hong Kong and Macau offer visa-free access almost automatically for passport holders from many countries. 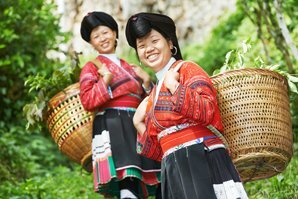 Hainan Island offers free entry for passport holders of some countries given special conditions. For further detail see our page How to Travel to China Without a Visa. 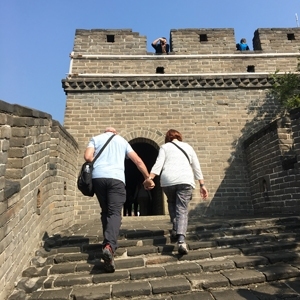 Visit Great Wall with us. The following are recommended as Beijing, Shanghai, and Guangzhou are the most accessible visa-free cities in mainland China. The following popular itineraries can be customized to your length of stay.